Hello! I hope you're having an awesome day. This post published at 6:00 am my time, so I'm sure I'm still fast asleep. But I know our readers in other parts of the world are more than halfway over with their days. 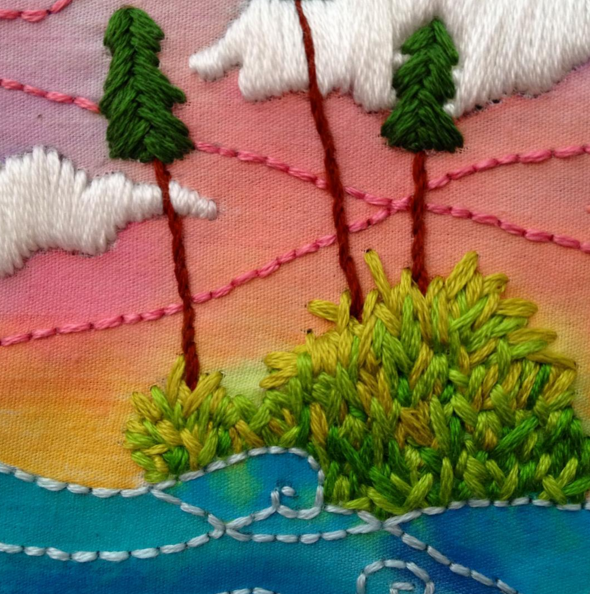 Take a moment to sit back and relax, and look at some beautiful stitching. 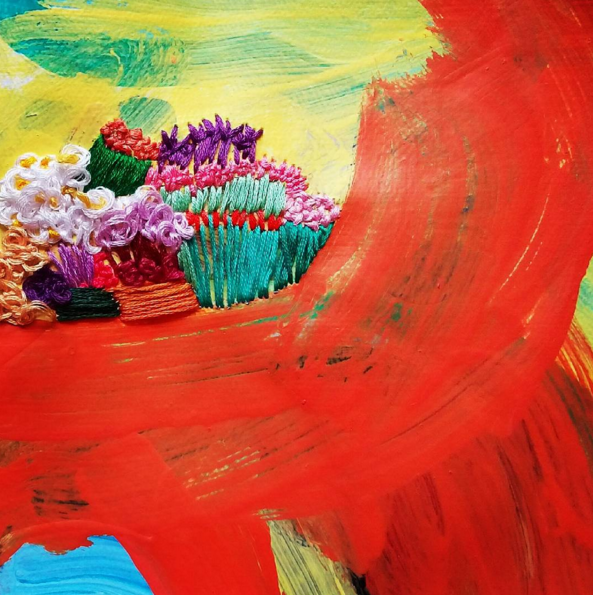 The first thing I'm struck by when I look at Beth's Instagram feed is the color - bright, beautiful, and bold color. I love it! 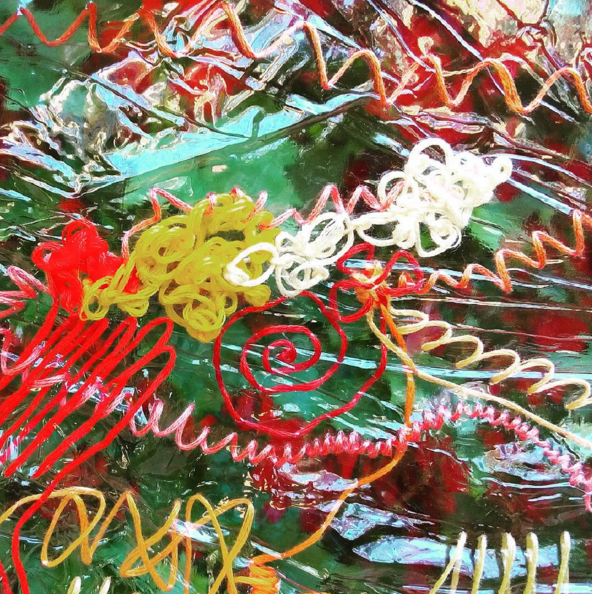 The next thing I'm struck by is her blending of nature in her work. 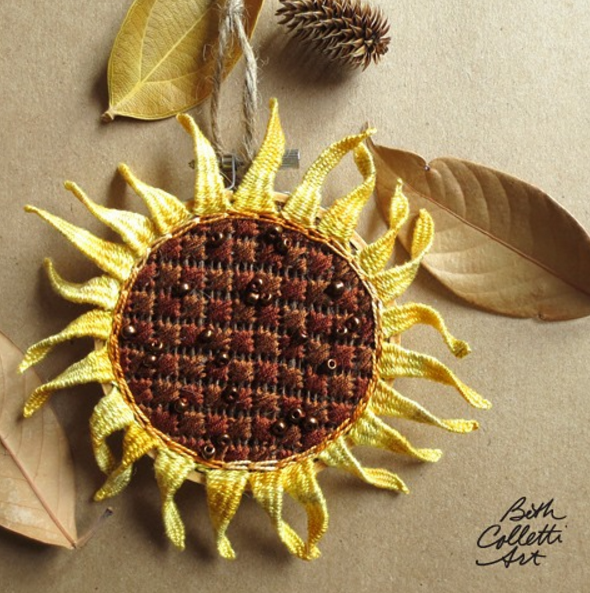 Beth's sunflower hoo is one of the most amazing pieces of embroidery I've ever seen! Now those are some embroidery goals to strive for! 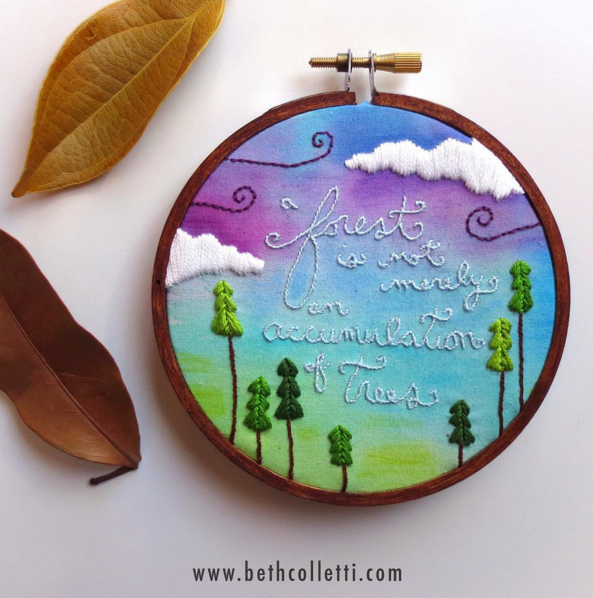 Her use of mixed media with embroidery is beautiful, and combines fabric, paint and floss with lovely quotes and typography. The last picture shown here gives a lovely closeup look. Beth's pictures are beautifully staged, and light, bright, and beautiful! I cannot emphasize enough how important this is in a fantastic Instagram feed. That's it for this week's edition of Friday Instagram Finds! Join in the conversation by commenting below. 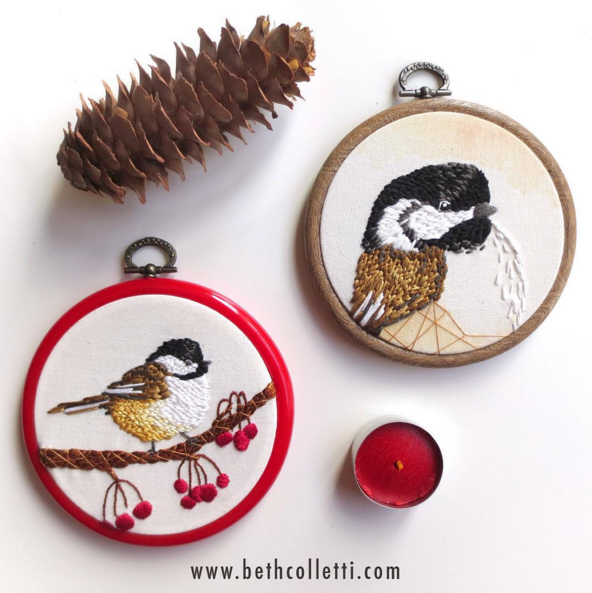 While you're on Instagram checking out Beth's work at @bethcolletti, and make sure you follow Feeling Stitchy! We'd love for you to stop by and say hello. You can find Feeling Stitchy on Instagram at the handle @feelingstitchyish. You can find Amy @randomactsofamy on Instagram. Want to be featured in Friday Instagram Find? Tag your best stitch-related photos like Beth did with #feelingstitchyig! Over on my personal blog, Random Acts of Amy, this month's Backside of the Hoop has been published this morning. 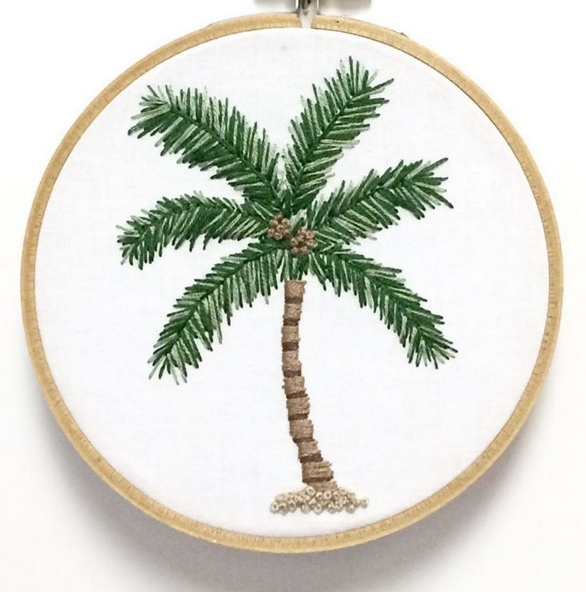 I interviewed Mary Corbet of Needle 'n Thread, and you can read all about her embroidery story, process, and how she finishes off the backside of her hoops here. Have you heard about DMC's Common Thread site? It has been around for several months now and showcases their homemade brand, artisans and kits. While it emphasizes a more trendy look, it does give props to their history and what made them a household name in the stitching world. I really love the unconventional DIY kits. The cross stitch vase and embroidery calendars are insanely fabulous! They offer knitting and crochet as well as cross stitch and embroidery. I know that a few people may grumble at the price of the kits or patterns but remember that you are supporting indie artist and handmade items and yes while it is through DMC, an independent artist created it. If you are interested in being a part of their creative team or programs, they are open to adding new artist all the time. Check out the site today and see what they have to offer. I hope you are like me and are happy to see the direction Common Thread is taking. Born in Delhi, India, Swati Kalsi studied fashion design at the National Institute of Fashion Technology, India. 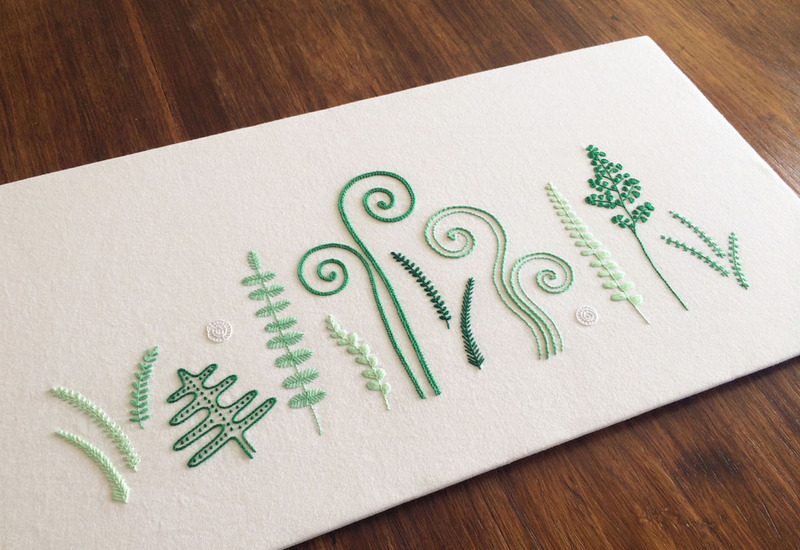 Since then she has developed her own fashion label and distinct style of embroidery design. 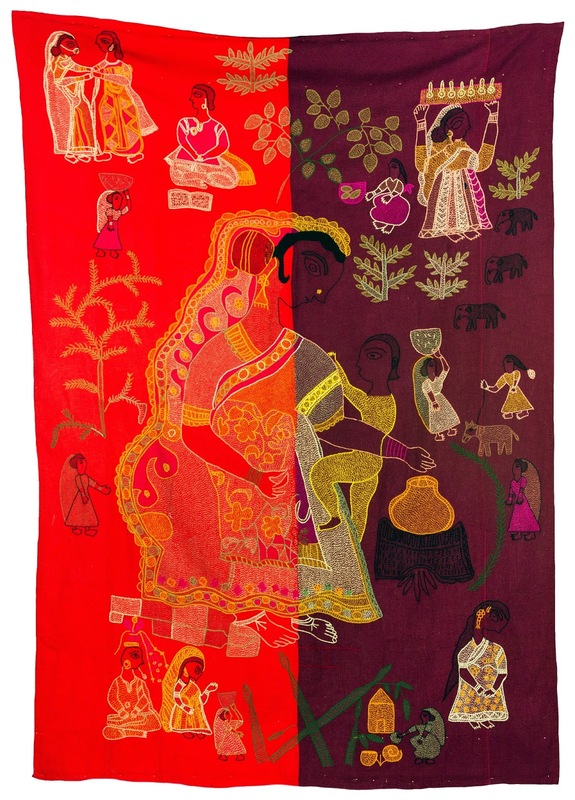 Swati Kalsi's work highlights traditional Sujani embroidery which orignitates from Bihar in India. 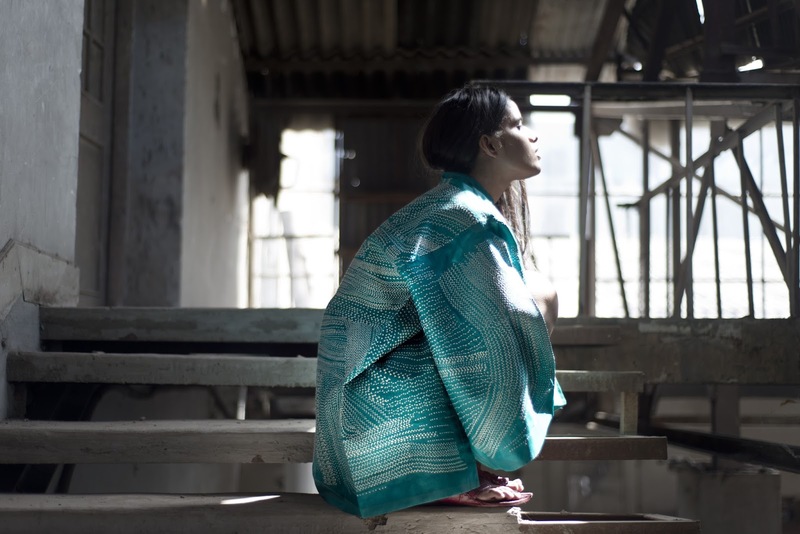 The designer works with local female artisans in Bihar to realise her elegant and modern embroidery designs. Orignially this age old type of embroidery was applied to old sari fabric or any easily accessible cloth. 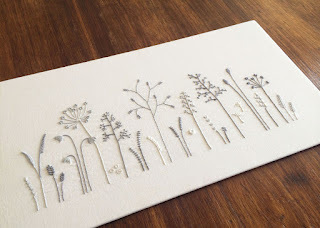 The pieces of silk would be adorned in colourful embroideries using simple running stitch and chain stitch to illustrate typically distinctive motifs, often depicting the life story of the embroiderer. 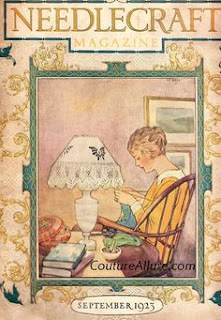 These embroideries were usually patched together to create family heirlooms such as a comforting quilt for a newborn. Sujani literally translates as 'facilitating or easy birth'. 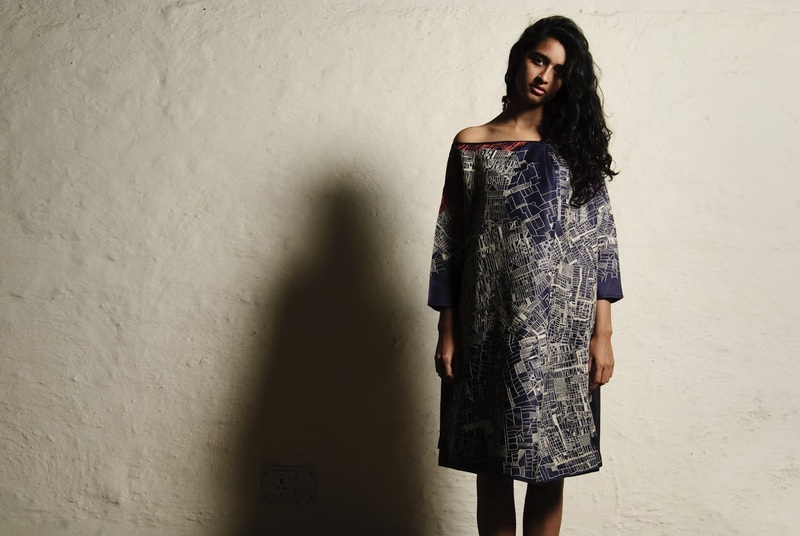 Nature is a reoccurring theme in Swati Kalsi's designs: 'Rhythm and nature have always caught my eye and have gradually become my vocabulary for ornamentation.' The Anhad (boundless) collection is 'inspired by naturally occurring fractals. 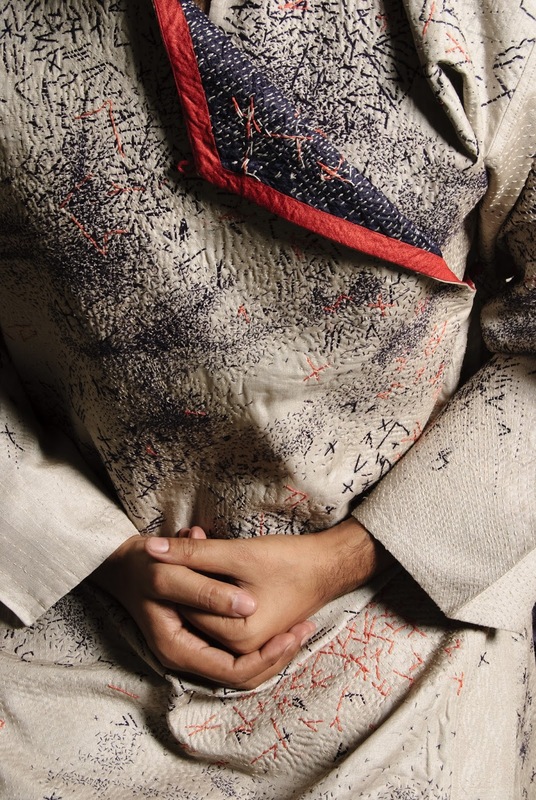 The embroidery spreads abstractly and seamlessly over the surface of the garments'. 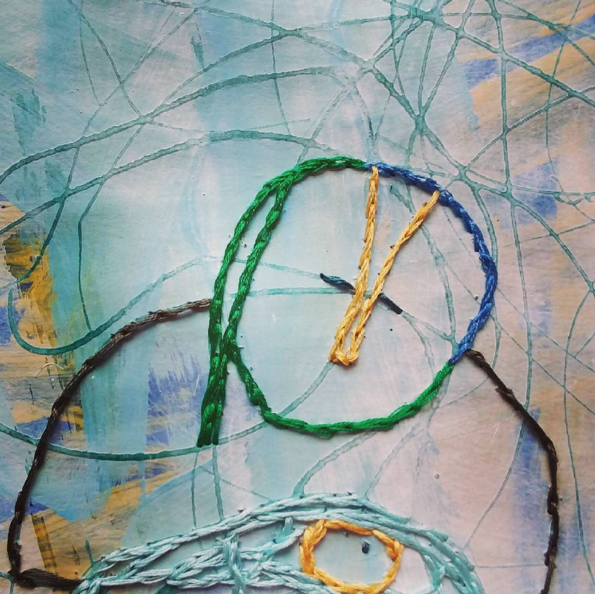 Through her approach to mark making a great beauty and cohesion is created. 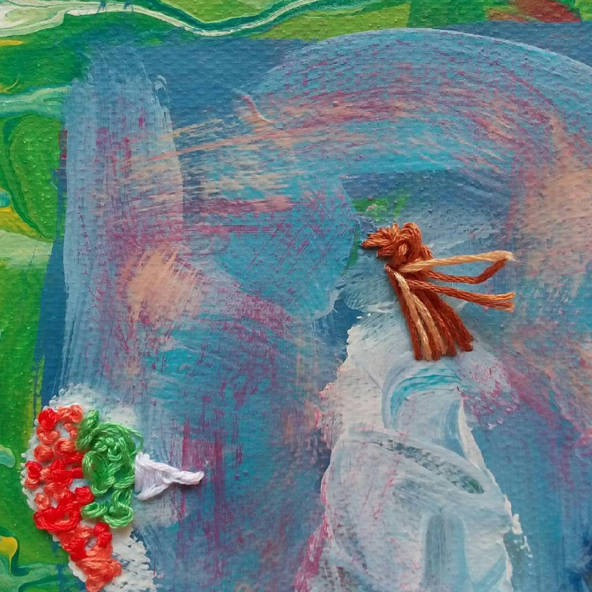 Find out more about Sujani and Swati Kalsi's work here. Today I bring to you Tamra from @girlystitch! Tamra has a lovely, clean style that features beautiful typography, pop culture fun, and gorgeously needle painted pieces of art. 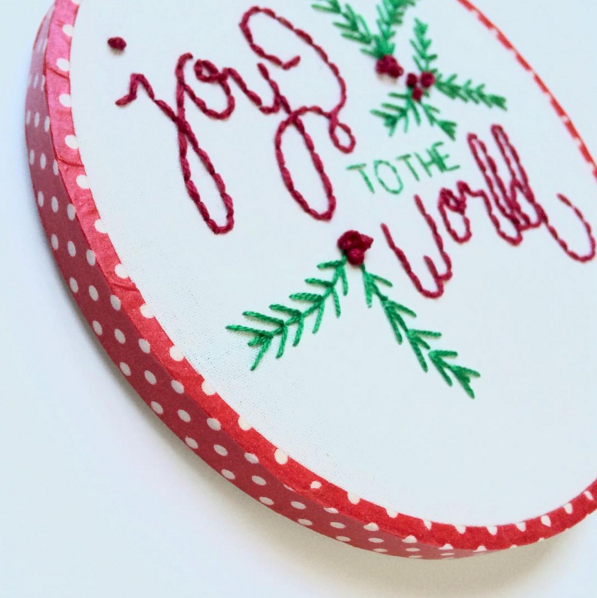 Like many of the needle artists I feature here, Tamra used #feelingstitchyig to get "discovered" for this weekly feature. Tamra's pictures are always so beautiful. They're nice and bright and clear, and I particularly love the close up shots. Take a look at a snippet of her talent in the pictures below. 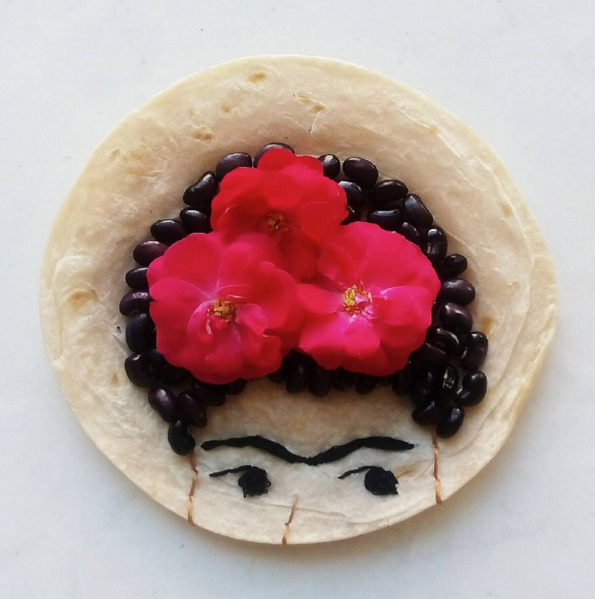 That's it for this week's edition of Friday Instagram Finds! Join in the conversation by commenting below. 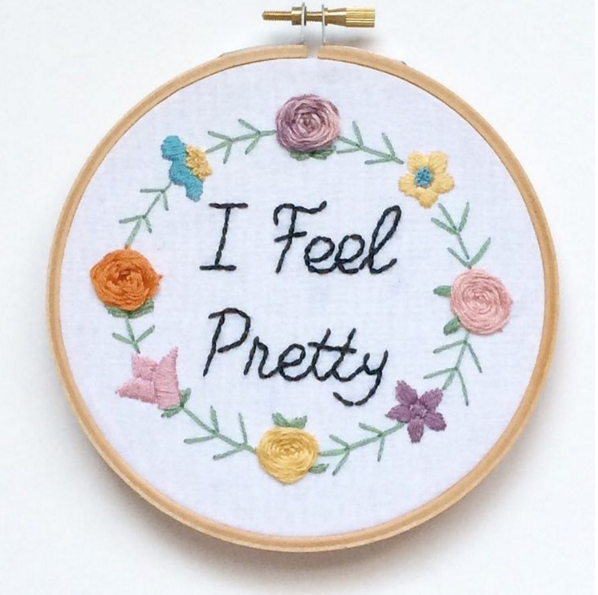 While you're on Instagram checking out Tamra's work at @girlystitch, and make sure you follow Feeling Stitchy! We'd love for you to stop by and say hello. You can find Feeling Stitchy on Instagram at the handle @feelingstitchyish. You can find Amy @randomactsofamy on Instagram. Want to be featured in Friday Instagram Find? Tag your best stitch-related photos like Tamra did with #feelingstitchyig! Can you believe that it is November? Where did October go? This month's theme for the Craftster Hoopla Along is so easy and so much fun. It is: Your Pick! Stitch what you love! Check out the details below. Time to kick back and relax. Put your feet up on the table, grab a blanket, a beverage and stitch up your favorite thing. November is all about what you love. It's a wildcard! You can stitch anything just as long as it means something to you. You have until November 30th to post your project and be eligible for the random drawing. Post your hoopla on THIS THREAD over at Craftster.org. Check out past hoopla alongs and more details about this month's theme HERE. I recently came across Kamal Kadai Work when searching for different types of needle weaving stitches. Kamal Kadai is an Indian embroidery style native to the state of Andhra Pradesh that primarily uses needle weaving to stitch beautiful flowers. There is definitely a specific style to the flower designs used in Kamal Kadai. The flower petals kind of look like they have "steps" or "levels" (for lack of better explanation). 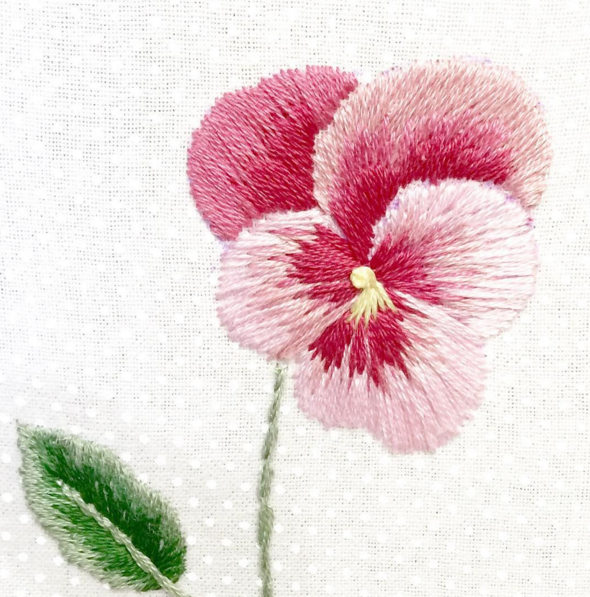 After reviewing a couple blogs that had step by step tutorials (here and here), I realized you basically follow the same process as the woven trellis stitch to stitch the flower petals. I traced the pattern (found here) with a water soluble pencil. From the base of the first petal, straight stitch to each outer point. As with the woven trellis stitch - you will want to switch to a blunt tapestry needle for the weaving. 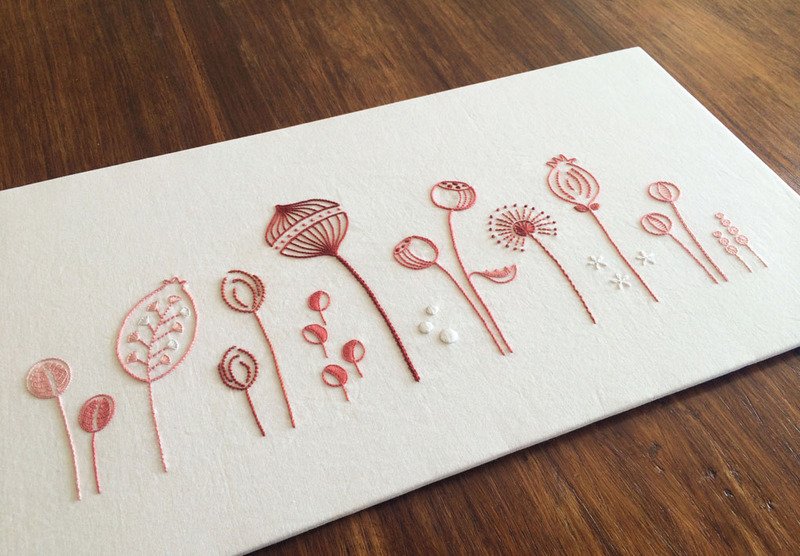 Cut a piece of thread that is long enough to finish a whole petal. I used regular 6 strand DMC floss. Come up through the fabric to the left of the first straight stitch. Weave your needle over that first stitch, then under the next stitch, over the following - repeating over and under until you get to the last stitch and pull the thread through. Next weave back the other way- always weaving over that first straight stitch - and pull the thread through. Repeat weaving back and forth - never pricking the fabric with your needle. Here is the first petal woven up to that first "level" of the petal. Repeat the process for each petal. 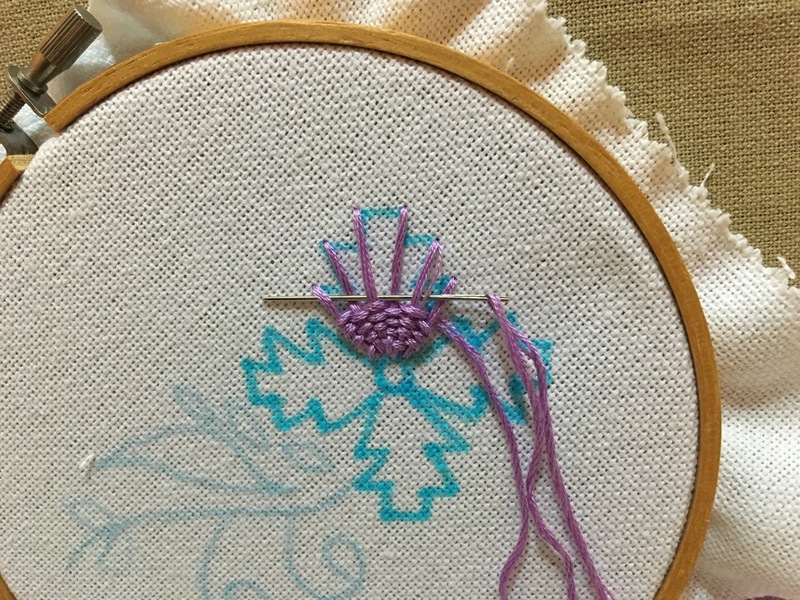 To finish the flower, I filled the center with yellow french knots. 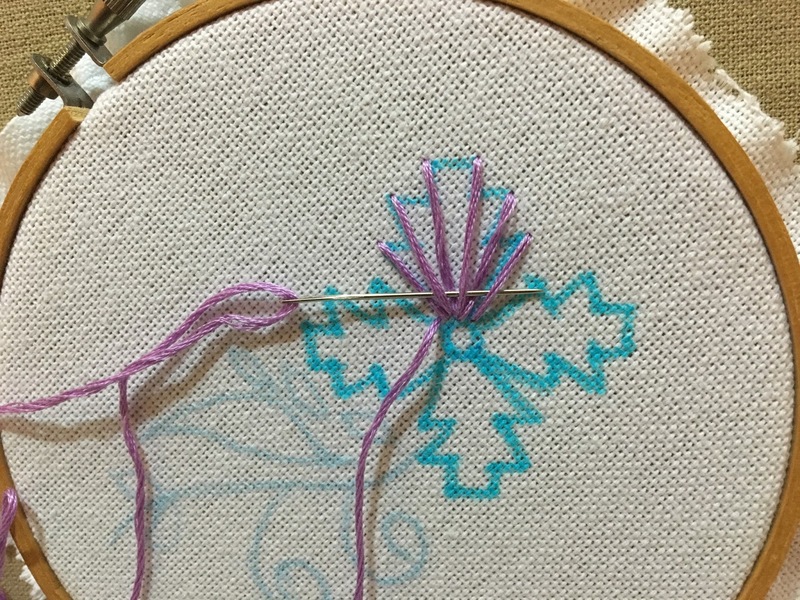 Stitches used for the stems and leaves: satin stitch, detached chain, and stem stitch. Here is the final flower after rinsed and dried to remove the blue pen markings. So, that is my interpretation of a Kamal Kadai flower, I hope I did it justice! If anyone has additional information on the technique or has tried it before, please let me know. I would love to hear from you!